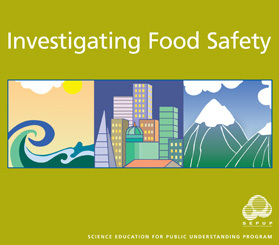 Consumers' concerns over food safety are broad. Students explore food-borne illness as they investigate the growth of yeast, a common fungus that is used to model other effects of pathogenic microorganisms. They examine different uses of chemical additives, including their inhibition of microbial growth. Students then explore how chemical additives can be used to slow the oxidation of fresh fruit and to enhance the nutrient content of foods. They learn how foods can be tested for the presence of chemical residues, such as pesticides. Finally, they evaluate the use of different food preservation techniques intended to improve food safety. Students are assessed on their ability to use evidence and identify trade-offs when making a decision.